To make room for a photo of this morning’s breakfast creation I had to purge some photos from my iPhone. With well over 300 photos and videos taking up space it was time to clean house. I hate it when this happens. The photos are all saved on my computer but it still breaks my heart to delete photos of Lennox. Scrolling to the top, I always delete the oldest first – it’s become my ritual. Seeing how much the little guy has grown in such a short time makes me more sad and just plain proud. That little boy has grown from a little speck in my tummy to a speed crawler – gosh – that still amazes me. Now someone remind me why I chose to get the 16gb and not the 32gb iPhone. I woulda had much more space to keep those precious snapshots of my little monkey. When this phone dies, I’m goin’ big on the next one! Directions:Whizz in blender till peach chunks are gone. Pour into a fancy glass and sprinkle with cacao nibs. Drink some and go back for more cacao nibs. Repeat. Read about the benefits of raw carob powder here. Read about the benefits of chlorella here. Read about the benefits of maca here. 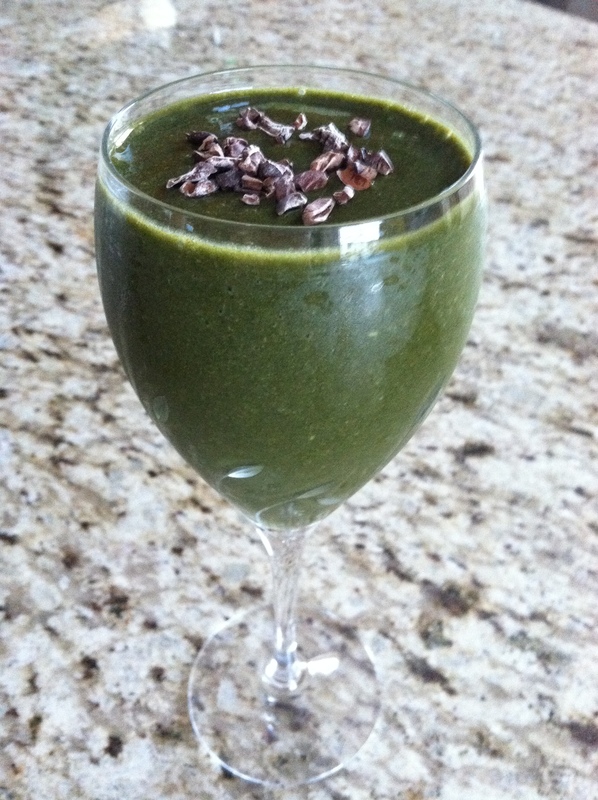 Read about the benefits of raw cacao nibs here. Absolutely…all the time! Do you?